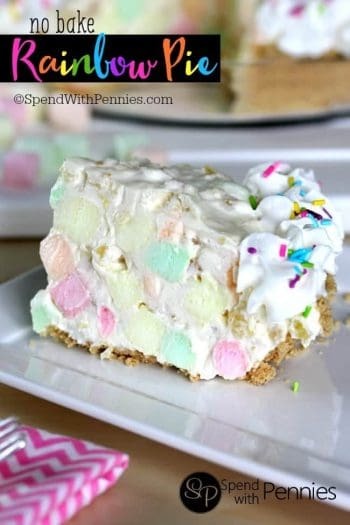 This is a super easy and yummy dessert that takes just a few minutes to put together the night before and it always a HUGE hit! This no bake recipe adds Root Beer Extract to give it a little bit of an extra root beer flavor. You can make it without extract but the root beer flavor will be mild so I definitely recommend adding it in (You can find it on Amazon here if you can’t find it at a store near you). Add in a little of the extract, stir and taste. Depending on the brand, a little can go a long way! 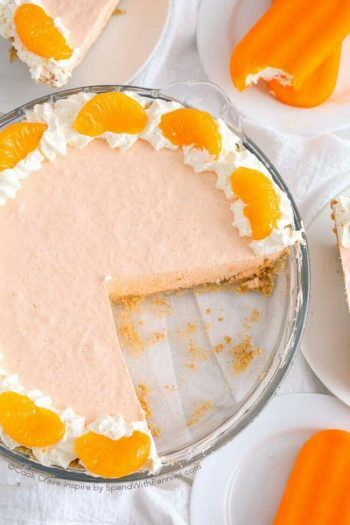 Cutting the pie BEFORE it goes into the freezer makes it super simple to serve once it’s done. Combine the root beer, milk and pudding mix in a large bowl. Mix with a whisk until it begins to thicken. Fold in half of the whipped topping and desired amount of root beer extract. Start with just a little of the extract and give it a taste. You can continue adding more until desired flavor is reached. Spread into the pie crust. Refrigerate for 5 minutes. Top with remaining whipped topping. Slice the pie into 8 even slices (this makes it really easy to cut when it’s frozen). Add a cherry on each slice. Freeze 8 hours or overnight. This pie will seem a little bit runny prior to freezing. Prior to freezing, slice the pie, this makes for easy serving once ready! 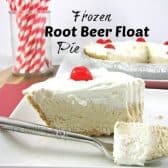 This recipe was inspired by a Root Beer Float Pie which is not frozen. 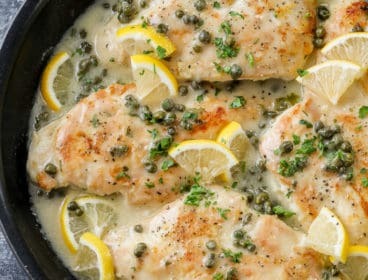 The original recipe was found in Healthy Cooking June/July 2012 issue. The recipe I found called for root beer concentrate, not extract. I could only find it at Amazon. It came in two small bottles for $9.95. What is the difference, I wonder? 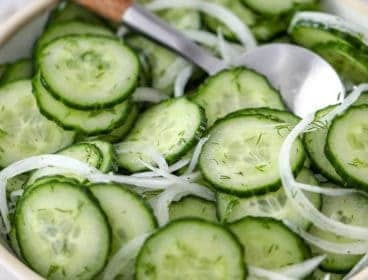 Typically concentrate is a removal of water for the original pure juice to make it stronger intended to be rehydrated whereas extract is a strong essence suspended in alcohol. recently I have discovered “adult root beers”. do you think they would work in this or not freeze because of the alcohol in the root beer. I’m not sure it would set properly although it does sound delicious! If you do try it, I would love to hear how it works out for you! I might add a few drops of vanilla extract into the topping to mimic the vanilla ice cream in a float! Oh my gosh Debbie, I like the way you think!! 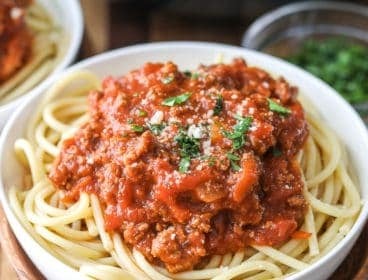 This looks simple and delicious. If you cook down root beer soda will you get a syrup to use…can’t find root beer extract. that’s what I was thinking about doing with the rootbeer too. Would regular whipped cream work? 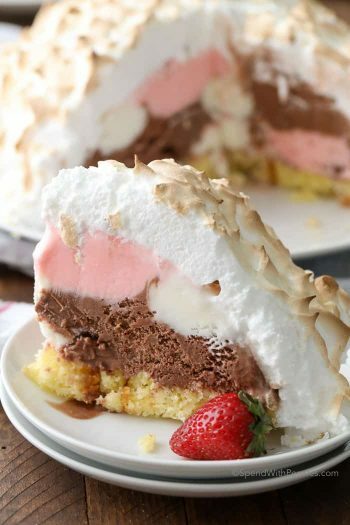 I don’t use Cool Whip because of what it’s made of…. how much root beer extract did you use? I made root beer cookies a few months ago and have this extract sitting in my cabinet. Now I know what to use it with. Awesome! We have a diabetic in our family so I used sugar free cool whip, diet rootbeer and sugar free pudding. Turned out really good. Could you use Coca cola and cola extract..thinking about some other types of pop, and wondering how it would turn out? I bet it would!! 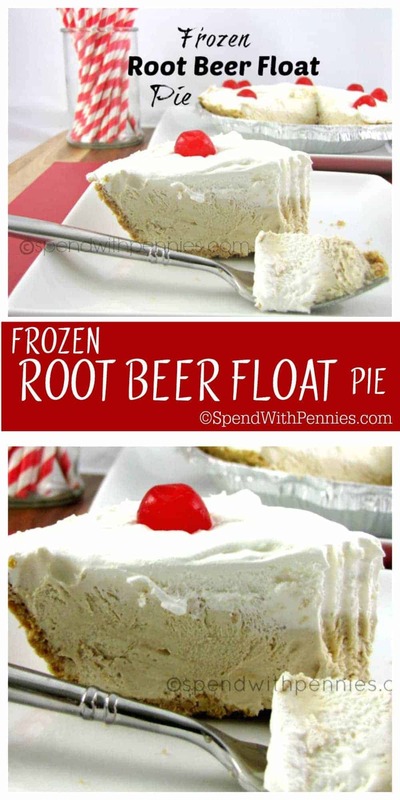 I would love to try a Coke float cake, great idea! OK..do you flatten the root beer before you pour it in or put it in fizzy? I just poured it in directly (so it was still fizzy). I am so excited about this pie, it will be a special treat for summer. Thank you so much for sharing with Full Plate Thursday and have a great week! 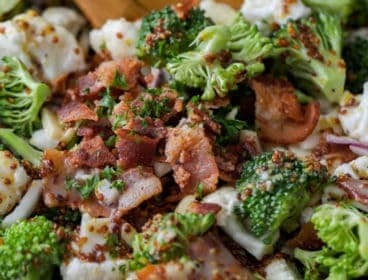 Do you know how i could find out the carbohydrate count for diabetics for this yummy dish? There are lots of online counters you can use if you google it. I personally have used spark people for information. 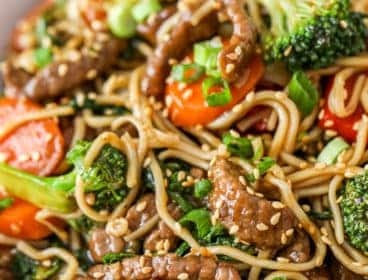 This is great because you can put in the specific ingredients you are using! what do you mean having used spark people ? 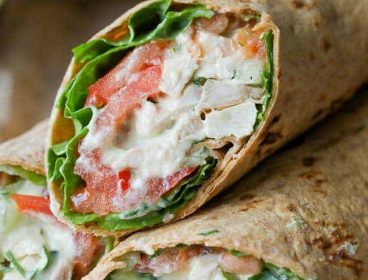 Spark People is a free website you can use for counting nutritional value etc. You should be able to find it on google. 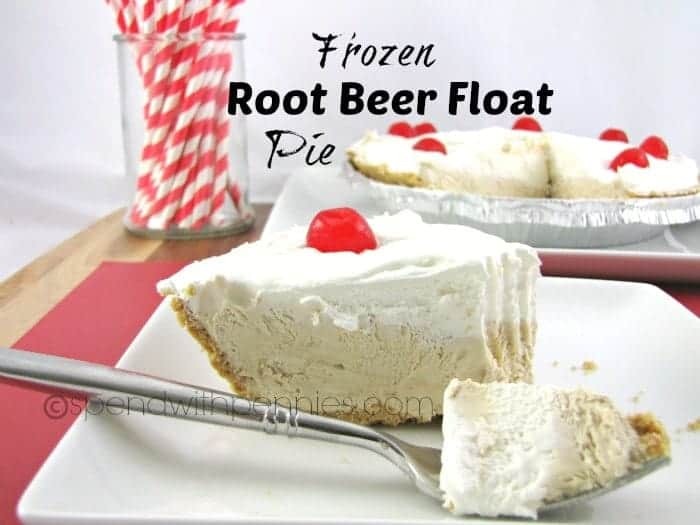 My family loves root beer and a frozen pie is perfect for this 90+ degree weather. Thanks for sharing at Inspire Us Thursday. Omg I will FOREVER make this to everything I go to! I was not waiting for Root Beer extract to get here, so I went to my local goodies shop and bought root beer flavoring instead and it turned out FABULOUS. I cannot say enough good things about this. Wow, this sounds great and so refreshing. Can’t wait to try it. Thank you! You too Beverly! My husband is a huge Root Beer fan!! I’m definitely going to have to make this for him! I’ll have to be on the lookout for root beer extract. Looks wonderful!! I know this may be a stupid question but when you say freeze do you mean the refrigerator or freezer? 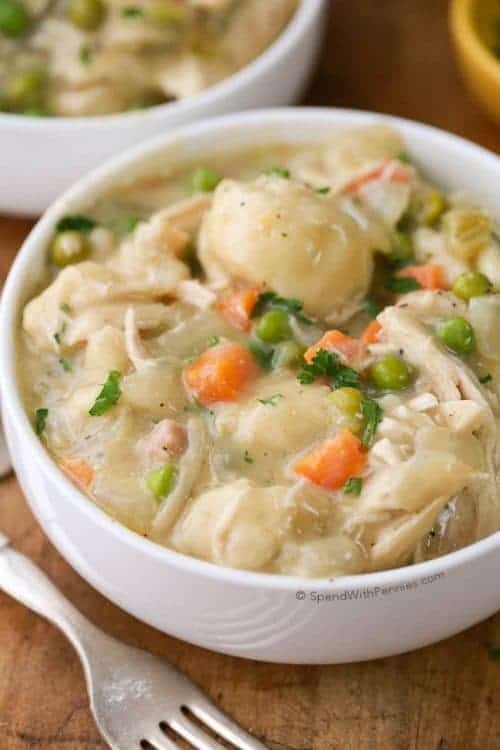 I made this with another recipe, that did NOT use the Rootbeer Extract, and while it was good, it really needed the extract… I haven’t found the extract in my local Grocery Stores yet but I am going to check the cooking store. you can also purchase rootbeer extract through Watkins. Just do a search for a distributor in your area. They have an abundance of different flavoured extracts to choose from as well. Hope this helps. I FOUND IT AT WALMART, ROOT BEER EXTRACT. THEY CARRY DIFFERENT OTHER FLAVORS ALSO. Where in Walmart did you guys find the soda extracts? It’s right next to the spices like meat tenderizer, garlic powder, all spice, ect. Hope this helps! you said its found at walmart, is that in the u.s.a. ? or canada ? I just bought some at Walmart. Maybe you can find it at your local Walmart. Watkins extracts are now sold at walmart!